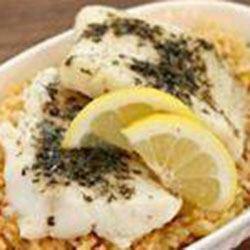 This Lemon & Herb Cod is a must-make summer dish for the Crock-Pot® slow cooker. It cooks up perfectly moist and flaky (just like cod should be.) PLUS the Crock-Pot® slow cooker helps my kitchen stay cool in the summer! 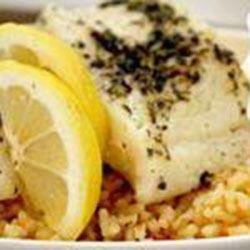 Cook up this light and zesty cod and enjoy a lighter meal. 2. Place frozen fish fillets on top. 3. Squirt lemon juice over fish. 5. Add salt & pepper to taste. 6. Cover & Cook on LOW for 2 hours. 7. Serve with quinoa, brown rice, or other grain of your choice.